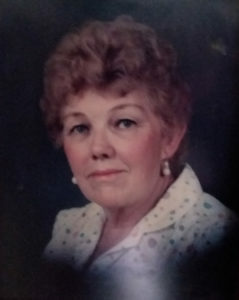 Louise M Hill, age 91, of Montello, Wisconsin died Sunday, April 7, 2019 at Montello Care Center in Montello, Wisconsin. A private Memorial service will be held for the family on April 13th 2019 in Baraboo, WI. In lieu of flowers, we ask that you donate to Alzheimer’s Research. Louise was born June 14, 1927 in Sikeston, Missouri to John William Henry and Siner (Clements) Moss. Louise grew up in a big family, she had seven sisters and had close relationships with the younger girls. She met and married Clarence Hill in 1946 They had 3 children together and later divorced. Her travels took her to the West. She was a hard-working woman and gained peoples respect quickly. Her friends and co-workers lovingly referred to her as Weezy. She had an adventurous spirit that took her to coastal beaches, deserts and down mountain roads. She was well liked by all who knew her. They loved her quick wit and smile. She wasn’t afraid to have a good time; she wasn’t shy and would be the first one on the dance floor encouraging others out. She loved her family and enjoyed her grandchildren both near and far. Heaven gained another angel that we will all miss dearly. Louise was preceded in death by her parents: John and Siner Moss; 7 sisters: Gail, Janie, Pearl, Silvania, Varnia, Justine .Irene and Betty; and her son, Danny L. Hill. Grandchildren: Lisa Hill of Washington; Nicole North of West Jordan, Utah; Leslie Michaels of Niles, MI; Daniel Hill of S.L.C. UT; Ryan Murch of Lyndon Station, WI; and Jason Hill of Dowagic MI. Further survived by 8 great-great-grandchildren. Roseberry Funeral Home is assisting the family.